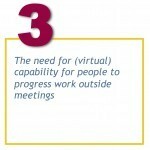 How mindful are organisations of the potential of meetings? 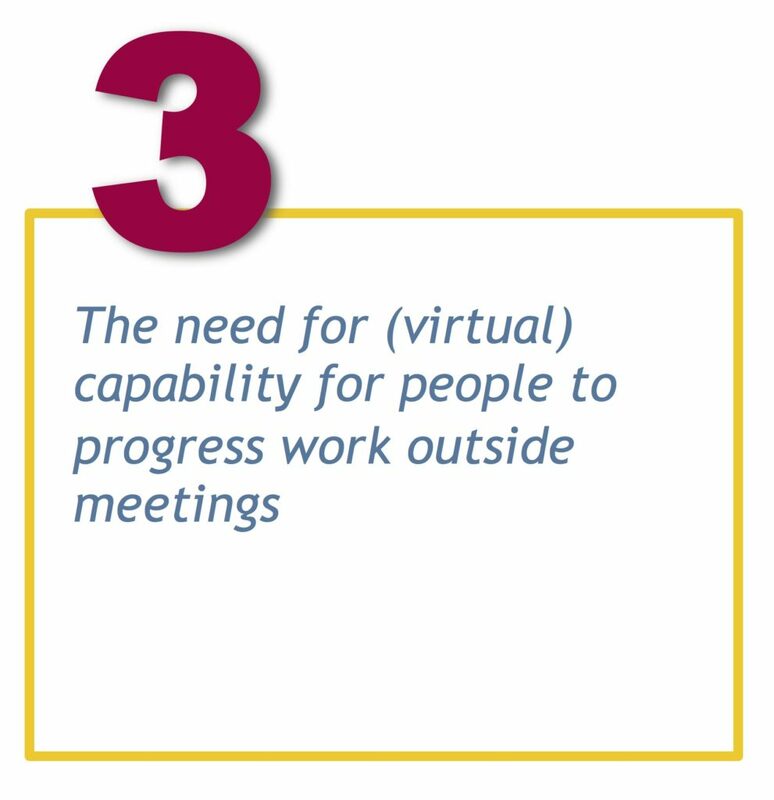 How many organisations pay explicit attention to leveraging the power of meetings to drive the organisation’s performance? 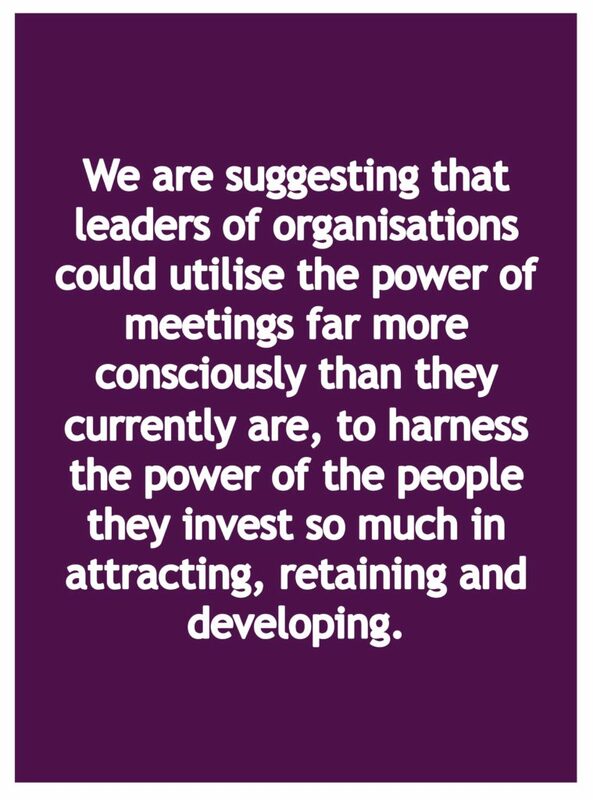 How aware are leaders of organisations of the (usually inexplicit) culture they create through the way they run meetings? 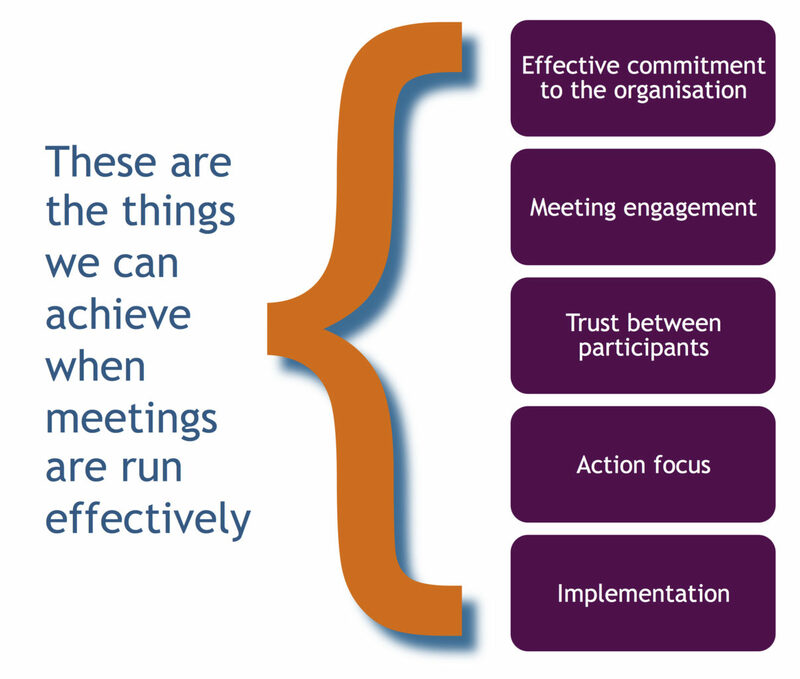 How do meetings play out in your organisation? 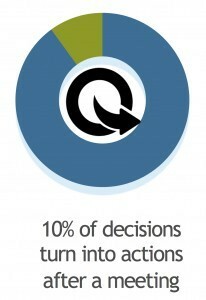 And what are the implications of this for your business? Is there room for improvement? Before we explore this in more detail, let’s take a look at what we have found. For many years we have held a belief that systemic issues in organisations show up in meetings and meetings have the power to drive profound impact and change. Katherine, founder and CEO of Meeting Magic, and the team at Meeting Magic have had the privilege of working with groups around the world, in all kinds of organisations, at all levels. 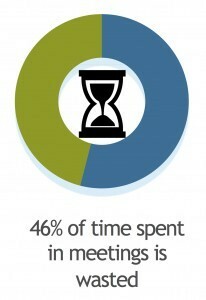 We have learnt from our work that meetings can do great things. When the people-power within a meeting is harnessed, groups can do great work: solve the unsolvable, develop new insights, take meaningful action. And when people work together effectively, not only are the results fantastic but people leave the meeting feeling engaged and motivated by their work. 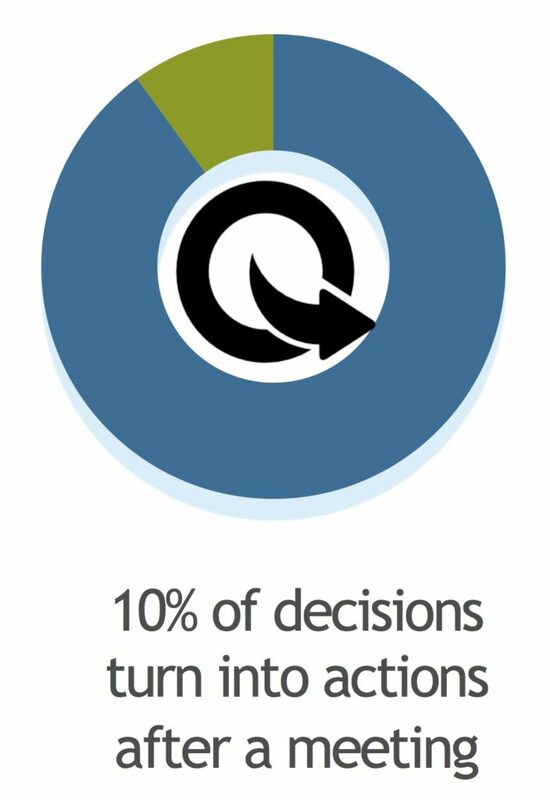 When this is a consistent experience it leads to greater overall commitment and engagement in the organisation and improved business performance. We also know that the reverse is true. 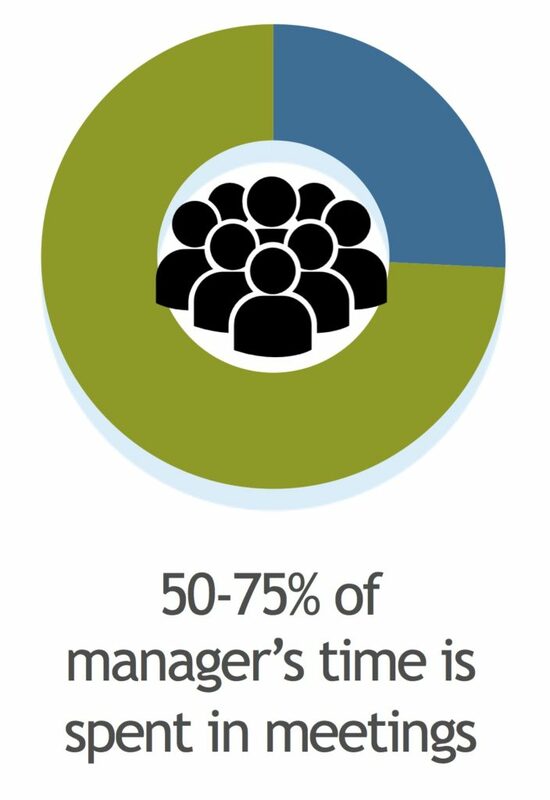 Problems in meetings are symptomatic of deeper systemic issues within the organisation. Whilst the symptoms can superficially look the same in different organisations, or parts of the organisation, the root causes can be very different. 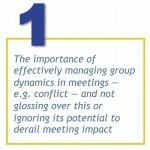 For example, two organisations might both claim to have problems with too many meetings, wasting time. The cause in one organisation might be lack of clarity of purpose and strategy, whilst in the other organisation the root cause is leadership decision-making. 1. Diagnosing the meeting culture of an organisation can provide powerful insights into how people work together across the organisational culture. These can serve as a catalyst for enhancing and building on things that are working, and addressing things that are not. 2. By paying attention to meetings we can develop a change in meeting culture that in turn drives profound change in an organisation. This means that leveraging meetings to change organisational culture is a practical and effective way to implement culture change, which can otherwise seem like a big ocean to boil. 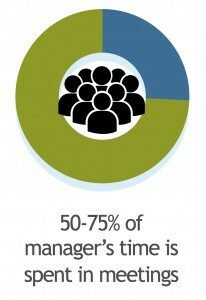 It is well established that organisations with staff engagement and organisational commitment outperform those without. So, these research insights combine to make the link directly between a productive meeting culture, emotional connection to the business and business performance, in a unique way. Many of these findings, in hindsight, may not be a surprise but that’s what makes the research results especially compelling — they make sense. They support what our experience of meetings has, up to now, suggested. 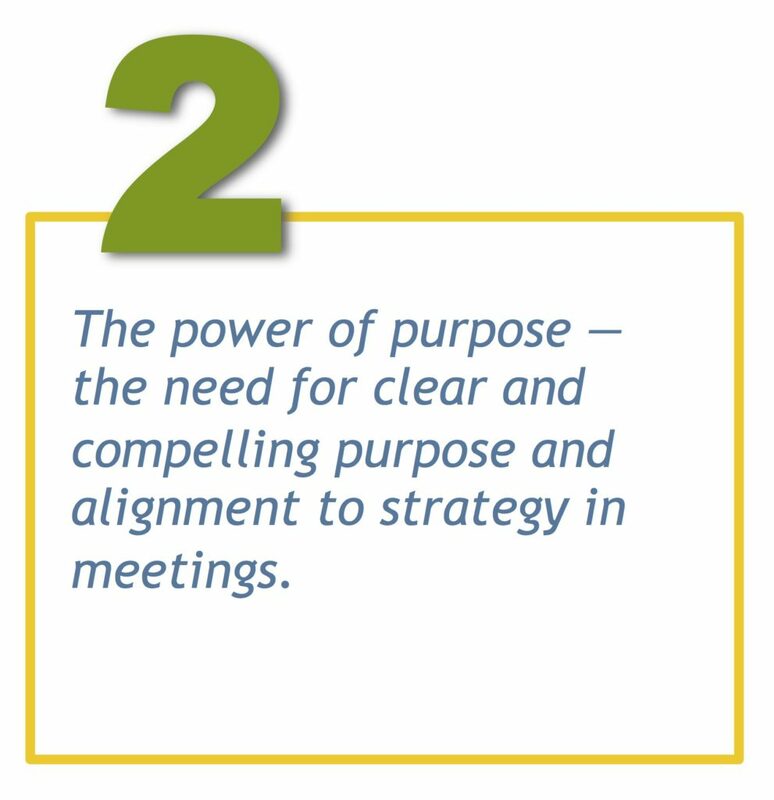 Whether we experience meetings as a meeting leader, a participant or a facilitator, there is congruence in what is considered important for them to be effective. + The potential in your meetings and how Meeting Magic can help. 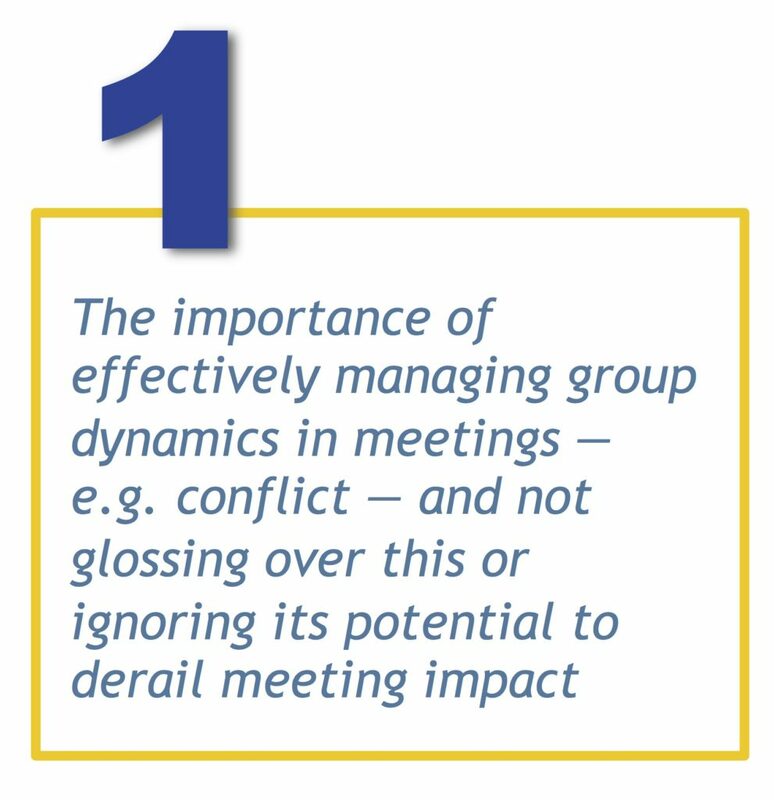 Where there is a dissonance between the intended purpose of a meeting and the way in which the group process plays out, there is little or no business impact after the meeting. Meeting Magic has collaborated with experts in the field of diagnostic research to develop a diagnostic approach, using various tools, that can get under the skin of what goes on in your organisation’s meetings. Through this, we can discover where meetings are succeeding and failing to get the best from people. For example, aligning meeting outcomes with business strategy; managing participation in meetings in a way that’s aligned to business values; managing decision-making to get commitment and drive for action; and bringing collaboration, co-creation and connection into meetings to create a meeting environment that gets the best from everyone involved. Alternatively, if there is a culture shift that you are looking to make in your organisation, Meeting Magic can work with you to design this into a way of running meetings that will drive the desired culture change. We have worked with clients who have chosen pivotal meetings in their organisations to drive change. The great thing about this approach is that people see and experience first-hand the difference in meeting behaviours and resulting action, which has much more power than talking about it. For example, if you are looking to embed values in an organisation, or part of an organisation, we can work with you to embed these values in the way everyday meetings are run, which will mean people experience the values in their everyday work, leading to stronger alignment, commitment to the organisation, and stronger emotional drive to agreed actions. 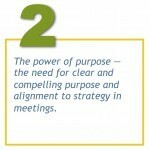 We are passionate about meetings and impacting organisations through them. Tell us what meeting issues you encounter or call us at +44 (0)1628 471 114. If you are in the Asia Pacific region our offices in Singapore can help. +65 8244 0244 or complete the form giving your country location. We regularly support clients in China, Australia, Malaysia, Indonesia, Japan and South Korea.